In just seven races at the helm of Denny Hamlin’s No. 11 Joe Gibbs Racing Toyota, Chris Gabehart has helped deliver two wins, four top-five and six top-10 finishes. That’s already two wins more than Hamlin posted last year – and is nearly half the top-five finishes he recorded in 2018 (10). To say the duo has clicked immediately is an understatement after taking the checkered in the season-opening Daytona 500 and then again just a few days ago at Texas Motor Speedway. 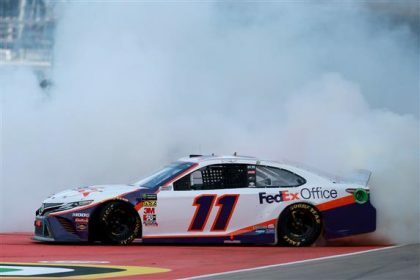 The two wins in the opening seven races of the season marks the earliest in Hamlin’s career he has won his second race of the season, besting 2012 in which he won the second race at Phoenix and then the eighth race at Kansas. And now Hamlin will be attempting to do something he’s only done twice before – win back-to-back races. (Fall 2012 – Bristol and Atlanta; Summer 2010 – Pocono and Michigan). In 26 starts at Bristol Motor Speedway, Hamlin has one win (Fall 2012), seven top fives and 12 top 10s. Although Gabehart doesn’t have any Monster Energy NASCAR Cup Series experience atop the pit box at Bristol, he does know how to win there. He has served as crew chief at the half-mile track six times in the NASCAR Xfinity Series – recording a pair of wins with Hamlin’s current Joe Gibbs Racing teammate Erik Jones (sweeping the 2016 races). His Xfinity drivers have three top-five and four top-10 finishes at Bristol. Kyle Busch started off last weekend at Texas Motor Speedway by winning the NASCAR Gander Outdoors Truck Series and NASCAR Xfinity Series races – but then recorded his worst finish of the season in the Monster Energy Series on Sunday. But what was Busch’s worst finish was a placement 29 other drivers envied as the driver of the No. 18 Joe Gibbs Racing Toyota continued his top-10 streak in 2019…by finishing 10th. The current points leader (by a slim eight-point margin over teammate Denny Hamlin) remains the only driver to have finished in the top 10 in each Monster Energy Series race this season. And the streak is actually nine races long – going back to the final two races of 2018, when he won at ISM Raceway and finished fourth at Homestead-Miami Speedway. Entering this weekend’s clash at “The Last Great Colosseum,” Busch looks to be a favorite to not only continue that top-10 run, but to also record his third win of the year. He leads all active drivers with seven wins – including two of the last three (Fall 2017, Spring 2018). He’s tallied 10 top-five and 15 top-10 finishes in 27 starts at the track. Texas Motor Speedway could have been the kick in the pants the cowboy who saddles up the No. 48 Hendrick Motorsports Chevrolet needs to get him back into Victory Lane. After winning the Busch pole for the Monster Energy Series race…which was his first pole since New Hampshire in July, 2016…Johnson went on to finish fifth. And that was his first top five since Charlotte in May of last year. Johnson started off 2018 with an average finish of 21.43 through the opening seven races – and finished without a win for the first time in his full-time career. But it seems as though the tides are turning for the seven-time champion, who has posted an average finish of 15.1 so far with three top 10s in addition to the top five from last weekend. He also has an average starting position this year of 10.7 – as opposed to 21.14 a year ago through seven races. He has also led 64 laps this season (60 of them this past weekend at Texas), which eclipses his 2018 total of 40 laps led. Johnson won three races in 2017 – and one of them was this spring race at Bristol in which he led 81 laps. In total, through 34 starts on the high banks of the half-mile circuit, Johnson has two wins, 12 top fives and 20 top 10s – and only one DNF. His crew chief, Kevin Meendering, is a Monster Energy Series rookie at Bristol – but has six races under his belt with Elliott Sadler in the NASCAR Xfinity Series, recording four top-five and five top-10 finishes atop the box. Perhaps the driver most hungry for a win at Bristol is Ryan Blaney. The 25-year-old driver of the No. 12 Team Penske Ford is the only one of his team to have not won this season – or at Bristol. But it’s not for lack of effort – or speed. He led a race-high 121 laps last fall before finishing seventh, and before that led an impressive 100 laps last spring before misfortune struck him and he was collected in a multi-car crash while leading late in the opening stage. Overall, Blaney has a pair of top-10s in seven starts at Bristol and he has strong teammates to lean on for advice this weekend. Brad Keselowski (two wins – Atlanta and Martinsville) and Joey Logano (one win – Las Vegas) have combined to win three of the seven races this season (Joe Gibbs Racing teammates Denny Hamlin and Kyle Busch paired up for the other four wins). And each driver has a pair of wins at Bristol Motor Speedway. Keselowski is the most recent driver to win consecutive races at the track (Fall 2011 – Spring 2012), while Logano won twice in three races (Fall 2014, Fall 2015). Overall, Logano has 20 starts at Bristol, recording two wins, five top fives and nine top 10s. He has an average start of 8.3 and an average finish of 15.6. Keselowski has 18 starts with two wins, four top fives and five top 10s. Spring forward to a championship? Just three times in the last 20 years a winner at Bristol has gone on to win that season’s Monster Energy Series Championship. All three times the Bristol Victory Lane visit came in the spring race. And all three of those drivers are entered this weekend in the Food City 500 (Sunday, April 7, 2 p.m. ET on FS1, PRN and SiriusXM NASCAR Radio). Brad Keselowski did it in 2012. Jimmie Johnson in 2010. And Kurt Busch in 2004. Of note, just prior to that time frame, Jeff Gordon won the spring Bristol race in 1995, 1997 and 1998 – and ended the season with the title. With top-10 finishes in all but two races to start his 2019 campaign in the No. 1 Chip Ganassi Racing Chevrolet, Kurt Busch is attempting to make the most of his new ride entering Sunday’s Food City 500 (Sunday, April 7, 2 p.m. ET on FS1, PRN and SiriusXM NASCAR Radio). 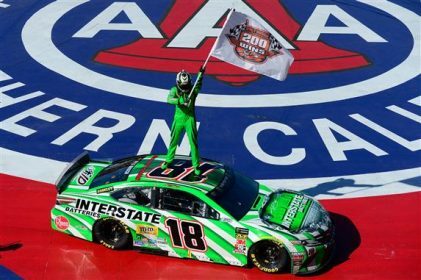 Two of those finishes were actually top-five results (third at Atlanta, fifth at Las Vegas) – and Busch hopes the success continues as the Monster Energy NASCAR Cup Series moves on to a track where he is second only to his little brother Kyle in wins among active drivers. His six wins are just one behind Kyle’s, and he would love to even the score this weekend by winning back-to-back races (he took home the checkered in the fall race last season). In fact, that’s how Kyle, himself, pulled ahead of Kurt in the Bristol wins total when they were knotted at five apiece – by winning back-to-back races in the fall of 2017 and spring of 2018. Busch’s win last fall was his first at Bristol since the spring of 2006…but he had quite the run before that. Busch was victorious in four of five races from 2002-04, including a trio of wins in a row while sweeping the races in 2003 and then carrying that over to the spring of 2004. During the 18-year Bristol win drought, he did put together five top-five and nine top-10 finishes – twice finishing third in that stretch. Overall at Bristol, Busch has six wins in 36 starts with 11 top fives and 18 top 10s. He’s recorded just three DNFs while putting together an average finish of 14.7. Through 36 races in 2018, Aric Almirola put together 17 top-10 finishes. Through seven races in 2019, he has six top 10s (misfortune at Daytona in the season-opener landed him a 32nd place finish in that race). The driver of the No. 10 Stewart Haas Racing Ford is level with Denny Hamlin and Kevin Harvick in top 10s thus far in the season. Only Kyle Busch is better than the trio with top 10s in all seven races this season. And Almirola is in fifth place in the points standings, riding the best start to a season in his career because of that. Last year, he had only yielded two top-10 finishes through seven races, which matched his previous best tally through seven races set in 2014. He’s going to have to reverse his history at Bristol Motor Speedway in Sunday’s Food City 500 (2 p.m. ET on FS1, PRN and SiriusXM NASCAR Radio) to keep his top-10 streak alive. He only has two top 10s (Spring 2018 and Spring 2014) in his previous 10 starts at the track. And just three top-10 finishes overall in 19 starts. Through the opening seven races in 2018, Kevin Harvick had three wins. Through the opening seven races in 2019, the driver of the No. 4 Stewart Haas Racing Ford is winless. But that doesn’t mean he hasn’t contended. He’s one of four drivers with six or more top-10 finishes to start the season (Harvick, Denny Hamlin and Aric Almirola have six; Kyle Busch has seven). What’s odd for the 2014 Monster Energy NASCAR Cup Series champion is he’s only led 133 laps through these seven races – and he’s only led laps in two races. Starting with his championship season, he’s averaged just under 494 laps led through the opening septuplet of races over the past five years – with a high of 766 in 2015 and a low of 277 in 2014. And he’s had an up and down relationship with the front of the field at Bristol over the years. He’s led just 22 laps there over the past four races (Spring 2017 – 14 laps, Fall 2017 – 0, Spring 2018 – 0, Fall 2018 – 8). But he has led a total of 884 laps in his 36 starts at “The Last Great Colosseum,” including 128 laps in his most recent win there in the fall of 2016. He has two wins, 12 top fives and 19 top 10s at Bristol in those 36 starts. JTG Daugherty Racing driver Ryan Preece maintains a 25-point hold on the Sunoco Rookie of the Year points standings through the opening seven races of the season. His average finish of 23.3 has given him the advantage over Daniel Hemric, who has posted an average finish of 26.9. Sunday’s Food City 500 (Sunday, April 7, 2 p.m. ET on FS1, PRN and SiriusXM NASCAR Radio) will mark both Preece and Hemric’s Monster Energy Series debuts at Bristol Motor Speedway. But they have both made NASCAR Xfinity Series starts at the track. Preece won the race – and the associated Dash 4 Cash bonus – in the spring race at Bristol last year. He also raced in both races in 2016, posting an average finish of 17 in those two starts. Hemric has four starts at Bristol, posting finishes of seventh of better in the first three outings before a crash marred his final Xfinity Series race there last fall. Six drivers from the Monster Energy NASCAR Cup Series will be participating in this week’s media rotations at Bristol Motor Speedway leading into this Sunday’s Food City 500 at 2 p.m. ET on FS1, PRN and SiriusXM NASCAR Radio. Matt DiBenedetto – The driver of the No. 99 Leavine Family Racing Toyota Camry with crew chief Mike Wheeler is currently 24th in the Monster Energy Series driver standings. The 27-year old from Grass Valley, California, is having one of the best starts to his series career this season, leading the most laps in the Daytona 500 and posting an average start of 21.6 and an average finish of 23.9. Bristol Motor Speedway is DiBenedetto’s best track; having posted his series career-best finish (sixth) at the .533-mile raceway. His average starting position at Bristol is 28.9 and his average finish is 20.6 (best among tracks he has more than one start at). Michael McDowell – The driver of the No. 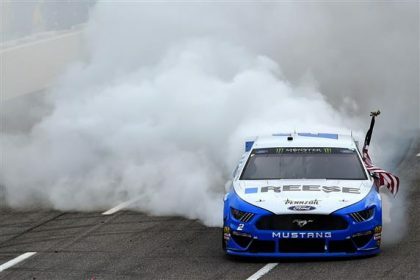 34 Front Row Motorsports Ford Mustang with crew chief Drew Blickensderfer is currently 26th in the Monster Energy NASCAR Cup Series driver points standings. The 34-year old from Glendale, Arizona, kicked the 2019 season off with a fifth-place finish in the Daytona 500. His average starting position this season is 22.3 and his average finish is 25.4. McDowell has made 17 series starts at Bristol, posting three top-20 finishes and an average finish of 31.7. Bubba Wallace – The driver of the historic No. 43 Richard Petty Motorsports Chevrolet Camaro with crew chief Derek Stamets put his name in the record books last season with his runner-up finish in the Daytona 500 – the highest finish by an African American in the prestigious event. Wallace is currently 28th in Monster Energy NASCAR Cup Series driver championship standings following Texas. In seven starts this season, the 25-year-old from Mobile, Alabama, has posted one top-20 finish and an average finish of 26.1. He made his series track debut at Bristol last season, finishing 16th in this event and 38th in the night race in August. Ryan Newman – The driver of the No. 6 Roush Fenway Racing Ford Mustang with crew chief Scott Graves leads all active drivers in Busch Pole Awards with 51. The 41-year old veteran from South Bend, Indiana, moved to Roush Fenway Racing in the offseason and with seven races in the books he is 20th in the driver points standings. In 2019, Newman has posted four top-15 finishes. His average starting position this season is 17.7 and his average finish is 17.0. He has made 34 series starts at Bristol, posting two top fives, 18 top 10s and an average finish of 15.7. Alex Bowman – The driver of the No. 88 Hendrick Motorsports Chevrolet Camaro with crew chief Greg Ives is currently 19th in Monster Energy NASCAR Cup Series points. In just his second season with Hendrick Motorsports, Bowman is coming off his best year of his career, making the Playoffs and finishing 16th in the championship standings. This season, the 25-year-old from Tucson, Arizona, has posted four top-15 finishes and an average finish of 17.9. Bowman has made six starts at Bristol, recording one top five and two top 10s. His average starting position at Bristol is 27.7 and his average finish is 21.5. Ryan Preece – The rookie driver of the No. 47 JTG Daugherty Racing Chevrolet Camaro with crew chief Tristan Smith is happy to return to Bristol Motor Speedway this weekend, as it was his big win at this track last season in the NASCAR Xfinity Series that caught the eye of Cup teams. Preece currently leads the Sunoco Rookie of the Year standings over second-place Daniel Hemric by 25 points. Preece is also ranked 25th in the Monster Energy Series driver points standings this season, after capturing one top 10 (Daytona 500) and an average finish of 23.3. This weekend will be Preece’s series track debut at Bristol. JR Motorsports teammates Michael Annett and Tyler Reddick, along with Joe Gibbs Racing’s Christopher Bell and Stewart-Haas Racing with Fred Biagi’s Chase Briscoe will battle it out in this weekend’s Alsco 300 at Bristol Motor Speedway (Saturday, April 6, 1 p.m. ET on FS1, PRN and SiriusXM NASCAR Radio), in this season’s first round of the Dash 4 Cash program. A total of $100,000 is up for grabs this weekend for Annett, Bell, Briscoe and Reddick, but don’t forget every NASCAR Xfinity Series championship-contending driver will have a chance to qualify for next weekend’s Dash 4 Cash at Richmond Raceway. 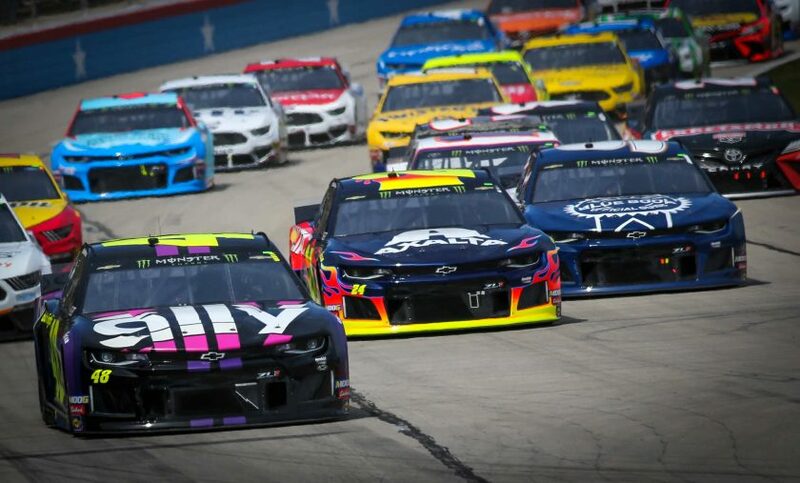 Ø The top four finishing NASCAR Xfinity Series championship-contending drivers at Texas Motor Speedway qualified for the first Dash 4 Cash event at Bristol Motor Speedway. Tyler Reddick has made three Xfinity Series starts at Bristol, locking up two top 10s and an average finish of 9.0. He posted his career-best finish of seventh at Bristol in this race last season. Christopher Bell has made two Xfinity Series starts at Bristol, posting a career-best finish of runner-up in the August race last season. Michael Annett has the most experience at Bristol, of the four vying for the Dash 4 Cash this weekend. Annett has made 13 series starts at Bristol, grabbing five top 10s and an average finish of 13.5. With the popular four-race Dash 4 Cash program returning to the NASCAR Xfinity Series this weekend at Bristol Motor Speedway (April 6, 1 p.m. 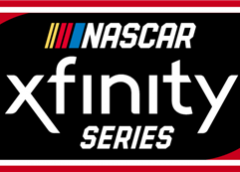 ET on FS1, PRN and SiriusXM NASCAR Radio), Comcast announced this week that $120,000 in grants will be distributed to one Veteran Services Organization (VSO) in each of the four race markets to build an Internet Essentials Digital Rally Point for local veterans. The contribution triples the amount donated during the 2018 Dash 4 Cash, when Comcast introduced the charitable component of the program by providing grants to local organizations on behalf of Internet Essentials, the largest and most comprehensive broadband adoption program for low-income households in the U.S.
“We had an overwhelmingly positive response to the charitable component of Dash 4 Cash last year, and this year we hope to make an even bigger difference by tripling the contribution and focusing on our local military heroes who have given so much to our country,” said Matt Lederer, Comcast’s Vice President for Brand Partnerships. This year’s grantees are focused on helping the veteran community obtain the skills they need to be successful in today’s digital world. Each one is located in a Dash 4 Cash market, near Bristol Motor Speedway, Richmond Raceway, Talladega Superspeedway, and Dover International Speedway. The grants will support the creation of a computer lab, expand the availability of online training programs created in partnership with PsychArmor, and fund the ongoing management of the Digital Rally Points over a three-year period. Joe Gibbs Racing’s most recent acquisition to the organization is Harrison Burton, son of 27-time NASCAR Xfinity Series race winner Jeff Burton, for eight races this season – including this weekend at Bristol Motor Speedway. Burton will be piloting the No. 18 JGR Toyota Camry with crew chief Ben Beshore on the pit box, who already has four wins to his name this season working with driver Kyle Busch. The 18-year-old from Huntersville, North Carolina will be pulling double duty this weekend in Xfinity and the NASCAR Gander Outdoors Truck Series. Burton is currently ranked ninth in the Gander Trucks, having posted one top five and two top 10s in five starts. Burton is not a complete stranger to Bristol, he has made a Gander Trucks start at the .533-mile raceway in 2017 for Kyle Busch Motorsports; he started 13th and finished 18th. For the third straight week, 2018 NASCAR Xfinity Series champion Tyler Reddick, has held the 2019 driver standings points lead. Following his fourth top five of the season last weekend at Texas Motor Speedway, Reddick has opened his lead to 12 points ahead of second place Christopher Bell and an impressive 42 points up on third-place Cole Custer. Reddick has muscled four top fives and five top 10s out of the No. 9 JR Motorsports Chevrolet Camaro in the first six starts of this season. Though he has yet to win this season, his runner-up finish last weekend has been his best performance thus far. Reddick has raced the Bristol short track three times in the NASCAR Xfinity Series, accumulating two top 10s and an average finish of 9.0. There are six races already in the books this season and the drivers jockeying to make the NASCAR Xfinity Series Playoffs are already making big moves in the standings to ensure they don’t get left out of the prestigious postseason. Currently 12th in the standings in the proverbial ‘hot seat’ heading to Bristol Motor Speedway this weekend is Kaulig Racing’s rookie Justin Haley, who only has an eight-point advantage over 13th-place Ross Chastain driving for JD Motorsports. Chastain continues to make up ground on Haley and might have a slight advantage over him this weekend as it will be Haley’s series track debut at Bristol. Chastain has made eight series starts at Bristol, grabbing a career-best finish of ninth in this event last season. Bristol Motor Speedway is tied with Charlotte Motor Speedway for hosting the most (73) NASCAR Xfinity Series races in series history. The first Xfinity Series race held at Bristol Motor Speedway was on March 13, 1982 and the event was won by Phil Parson driving for car owner Johnny Hayes (Pontiac). The series has competed at Bristol Motor Speedway twice a season since its inception in 1982. In total, 474 different NASCAR Xfinity Series drivers have made starts at Bristol Motor Speedway, and 330 drivers have competed in more than one. Jeff Green and Kenny Wallace are tied for the series’ most starts at Bristol Motor Speedway with 37 each. In total, the NASCAR Xfinity Series has seen 48 different drivers win the pole award at Bristol Motor Speedway; led by Kyle Busch with six poles (2005, 2011, 2013, 2014, 2017 and 2018). NASCAR Hall of Famer David Pearson won the series’ first pole (114.816 mph) at Bristol Motor Speedway in 1982 and Kyle Busch won the most recent Xfinity pole at Bristol Motor Speedway last August. The youngest Xfinity pole winner at Bristol Motor Speedway is Erik Jones (April 18, 2015, at 18 years, 9 months and 19 days). Harry Gant is the oldest series pole winner at Bristol Motor Speedway (August 26, 1994 at 54 years, 7 months, 16 days). Kyle Larson holds the NASCAR Xfinity Series qualifying record at Bristol Motor Speedway with a speed of 124.686 mph (April 22, 2017). In total the NASCAR Xfinity Series has seen 46 different drivers win the race at Bristol Motor Speedway; led by Kyle Busch with nine victories (2006, 2010, 2011 sweep, 2013 sweep, 2014, 2015 and 2017). Phil Parsons won the series’ first race at Bristol Motor Speedway in 1982 and Kyle Larson won the most recent Xfinity race at Bristol Motor Speedway last August. Two former winners are entered this weekend – Jeff Green (2002) and Justin Allgaier (2010). The youngest Xfinity race winner at Bristol Motor Speedway is Erik Jones (April 16, 2016 at 19 years, 9 months, 17 days). The oldest series winner at Bristol Motor Speedway is Harry Gant (April 4, 1992 at 52 years, 2 months, 25 days). Elliott Sadler holds the race record in the series at Bristol Motor Speedway with an average speed of 94.740 mph (March 17, 2012). Below are the top five NASCAR Xfinity Series championship contenders in key Loop Data categories heading into Bristol. Knoxville, Tennessee, native Chad Finchum returns to his home track, Bristol Motor Speedway, this weekend to race in front of the local fans in the Alsco 300 this Saturday, April 6 at 1 p.m. ET on FS1, PRN and SiriusXM NASCAR Radio. At young age (six) Finchum started racing Go-Karts and worked his way up to Bandoleros, winning championships in both forms of racing. He then moved to Legend Cars before cutting his teeth in the NASCAR K&N Pro Series East. Finchum has 17 K&N Pro Series East starts in his career, posting one win, two top fives and five top 10s. Fun fact: his lone win came at Bristol Motor Speedway. The 24-year-old Finchum made his NASCAR Xfinity Series debut in 2017 and ran his first full season in 2018. This year he has run in five of the first seven races this season, posting one top-10 finish and an average finish of 24.2. He has made three series starts at Bristol, collecting finishes of 28th (2017), 36th (spring 2018) and 30th (fall 2018). 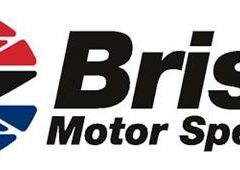 Four drivers from the NASCAR Xfinity Series – JR Motorsports’ Michael Annett and Tyler Reddick, Stewart-Haas Racing with Fred Biagi’s Chase Briscoe and Joe Gibbs Racing’s Christopher Bell – will be participating in this week’s media rotations at Bristol Motor Speedway leading into this Saturday’s Alsco 300 at 1 p.m. ET on FS1, PRN and SiriusXM NASCAR Radio. Won first career NASCAR Xfinity Series race in the 2019 season-opener at Daytona International Speedway, qualifying him for the Playoffs. In 2017, he made the NASCAR Xfinity Series Playoffs and finished the season ninth in the championship standings. In 2012, finished a career-best fifth in the series championship driver standings. Currently fourth in the Xfinity Series driver championship standings, 59 points behind standings leader Tyler Reddick. Posted first career NASCAR Xfinity Series win in the 2019 season-opener at Daytona International Speedway, qualifying him for the Playoffs for first time since 2017. In six starts this season, he has posted one win, two top fives, four top 10s and an average finish of 7.5. Has led the fifth most laps this season (50). Has made 13 NASCAR Xfinity Series starts at Bristol posting five top fives. His average start is 21.9 and average finish is 13.5. Zero DNFs. Best finish was sixth in 2011. Has nine career NASCAR Xfinity Series wins; including his victory earlier this season at Atlanta Motor Speedway. Currently second in the NASCAR Xfinity driver points standings, just 12 points back from the series standings leader Tyler Reddick. In six starts this season, he has posted two poles, one win (Atlanta), three top fives, four top 10s and an average finish of 9.3. Leads the series in laps led this season with 349 (33.37% of his total laps completed). Has led at least one lap in all six races in 2019. Has made two series starts at Bristol Motor Speedway, one top-five finish (runner-up last August). Has an average starting position of 2.5 and an average finish of 15.5. One DNF. Has led 53 laps at Bristol (fourth-most among drivers entered this weekend). In six starts this season he has posted two top fives, four top 10s and an average finish of 8.3. Qualified for Dash 4 Cash program at Bristol. Has made two series starts at Bristol posting a best finish of 23rd. Has an average start of 17.5 and an average finish of 28.5. One DNF. Has led 10 laps at Bristol. Also won the 2018 NASCAR Xfinity Series Sunoco Rookie of the Year honors; just third driver in series history to win the title in his rookie season joining Chase Elliott (2014) and William Byron (2017). In 2017, he captured his first NASCAR Xfinity Series victory at Kentucky, while running a partial schedule. Currently has three series career wins. Current NASCAR Xfinity driver championship standings leader, 12 points ahead of second place Christopher Bell. In six starts this season, he has two poles, four top fives, five top 10s and an average finish of 6.2 (career-best). Has made three series starts at Bristol Motor Speedway, posting two top 10s (both last season). Has an average start of 15.0 and an average finish of 9.0. Zero DNFs. Has yet to lead a lap at Bristol. After securing his fourth win in a row in the NASCAR Gander Outdoors Truck Series, Kyle Busch sets his sights on going five-for-five in Gander Truck races he’s entered this season. But he will not get his shot to do that until May 17 when he competes in the North Carolina Education Lottery 200 at Charlotte Motor Speedway at 8:30p.m. ET on FS1, MRN and SiriusXM NASCAR Radio. As of now, Busch does not plan to enter the Dover race making him ineligible for a shot at five in a row on the schedule. Despite taking some time off from the Gander Truck series, Busch could have an easy time securing his fifth series win this season. Overall, he has seven wins (spring races in 2005, 2006, 2010, 2011, 2013, 2014, 2017) in 12 starts at Charlotte Motor Speedway, including three second-place finishes. NASCAR Hall of Famer Ron Hornaday Jr. is the only driver in series history to win five consecutive races on the schedule when he accomplished the feat in 2009. At the next stop on the schedule (Dover on May 3), Kyle Busch Motorsports teammates Todd Gilliland and Harrison Burton will be looking to secure their place in the 2019 NASCAR Gander Outdoors Truck Series Playoffs. The cutoff to get into the Playoffs is eighth in points—a position currently held by Gilliland. But Gilliland can’t coast his way through Dover, as he only holds a one-point advantage over his teammate, and Burton’s average finish at Dover is a solid ninth while Gilliland trails with an average finish of fifteenth. The entire ThorSport Racing organization seems to be hitting on all cylinders this season, as all four drivers are currently in the top 10 of the NASCAR Gander Outdoors Truck Series driver championship standings following Texas. Currently, Grant Enfinger is second in the series standings, Ben Rhodes is third, Johnny Sauter is fourth, and Matt Crafton is sixth. Heading to Dover in a few weeks, things look promising for the team as well. Two of ThorSport Racing’s current drivers have won at the high-speed one-mile track (Sauter in 2017, 2018 and Crafton in 2016). Additionally, Enfinger and Rhodes also show promise for strong finishes at Dover with each drivers’ average finish inside the top 10 at Dover, at 8.5 and 6.0, respectively. The dance is on, as NASCAR Gander Outdoors Truck Series standings leader Stewart Friesen and second place Grant Enfinger are only separated by six points and will look to battle it out for the top spot when the series returns to action at Dover International Speedway on May 3. Enfinger grabbed the points lead following Atlanta and was able to hold the top points position up through Martinsville, then Stewart Friesen took his place with a solid fifth-place finish at Las Vegas. Both Enfinger and Friesen are coming off strong finishes in Texas, with Enfinger placing fourth and Friesen second. As these drivers head into Dover, Enfinger may have his opportunity to take back the top points position. His average finish at the Monster Mile is 8.5. Friesen may have his work cut out for him if wants to stay on top — the Halmar Friesen Racing driver’s average finish at the track is a 25.5.